ANSWER: Lazy, slow subordinates? It doesn’t sound like there is any reason to praise them. Let’s start by analyzing possible causes. Motivation or Ability? If people don’t have the knowledge, skills, tools, and experience to perform their jobs then positive comments won’t help. Encouraging a stone to swim won’t change the fact that it can’t swim. Using motivation to address ability problems merely frustrates the very person you intend to motivate. Either Way, You’re Responsible. Ability problems are best corrected by providing your people with skill-building opportunities, mentoring, coaching, and the tools required to do their jobs. And if their problems are due to motivation, as their direct manager you can also help them. Research by the respected Gallup organization indicates that the most significant factor in employee productivity is their relationship with their direct manager. So, either way, if you’re the boss it’s your responsibility. Intrinsic or Extrinsic Motivation? Extrinsic motivation involves external rewards such as money or praise. More powerful is intrinsic motivation, self-motivation that comes from within a person. As a manager you can impact both. Daniel Pink’s popular book “Drive – The Surprising Truth About What Motivates Us” discusses this in great detail from a scientific perspective, and found that employees become more intrinsically motivated when they have more control over how they do their work, and when they have the opportunity to improve in an area that matters to them, and when their work contributes to a meaningful purpose. This is what Pink calls “Autonomy, Mastery and Purpose”. Here are some practical ways you can motivate your people so they’ll be worthy of your praise. Autonomy. Focus on the end results you want from your people, and then give them as much control as they can handle over how to achieve these results. Mastery. Make sure your people have opportunities to improve their performance. If someone is in the wrong job, help them transfer to a position that’s a better match to their skills and interests. Purpose. Connect your team’s work to the larger purpose of your organization. Imagine a cocoa bean farmer who’s never tasted chocolate! Make sure your people get to experience the end result of their work so they understand their impact. Personally congratulate people when they do a good job. 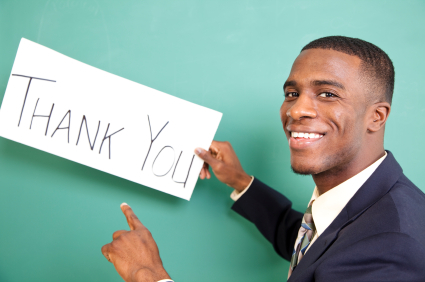 Give a handwritten note of thanks when someone does something well. Publicly thank people for good performance. Hold team social events to celebrate successes. Stop De-motivating Them! Remove common barriers to motivation, including unclear goals, unclear communication, and unclear priorities. Share the “big picture” with your team. Knowing what’s happening at work is more motivating than cash! Practice Your Attitude of Gratitude Daily. Please don’t withhold positive comments from people who deserve them simply because your boss never said good things to you. That’s equivalent to a parent abusing their children because they were abused as a child. Find reasons to make sincere positive comments to others at least three times per day. You’ll be pleasantly surprised at the changes this simple practice will create in your work environment!